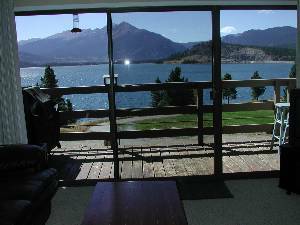 3BD/2BA- Incredible Lake Dillon View! 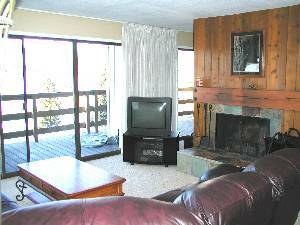 Our Condominium is located right on the spectacular Lake Dillon and CENTRAL TO ALL SUMMIT COUNTY SKI RESORTS. 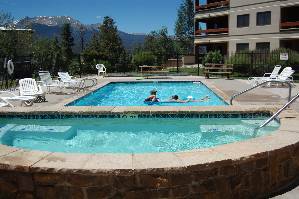 This spacious 1400 sq ft Condominium provides BREATHTAKING views of the Rocky Mountains and Lake Dillon with nothing to block the view. Enjoy your coffee and hot chocolate on our 30 foot deck overlooking it all after a long day of skiing!! 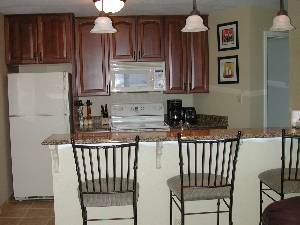 This Condominium is completely remodeled with new furniture, cherry cabinets, granite countertops, tile, paint, and carpet. You and your family and friends will feel at home while relaxing on the leather sectional in front of a cozy wood burning fireplace. The layout of this condo could not be better. 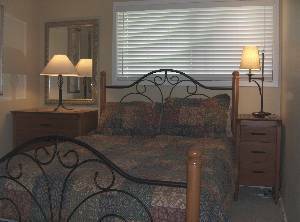 There are three spacious bedrooms with queen-size beds. Two of the bedrooms are located down a long hallway with a door that closes off at the kitchen and living room area. This is GREAT FOR FAMILIES who want extra space and/or quiet time for the kids. 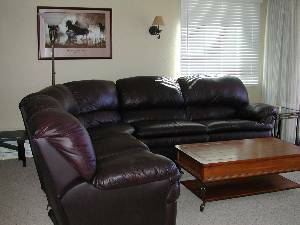 The leather sectional has a full-size sleeper and we have TV's with cable and DVD players in two of the bedrooms. There is also a seperate dining room with a nice solid wood table that seats 8 comfortably. Sorry No Smoking and No Pets. 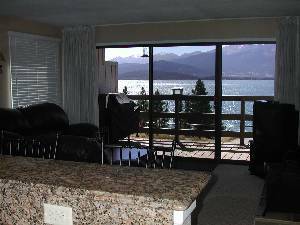 Great view from living room out onto 30' deck that overlooks Lake Dillon. Living room area with leather sectional queen sleeper sofa. View from living room area with larger sliding glass doors that overlook Lake Diilon. Granite Kitchen with bar area that overlooks living room. Fabulous Pool and Hottub Area. Recently renovated this past spring! Very Nice. 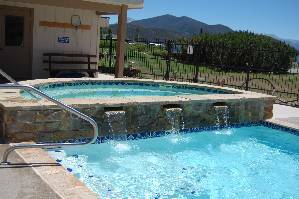 Waterfall from Hottub to Pool, relaxing!! You can see the wonderful view from kitchen, living room or dining room area. 3 Queen Size Bedrooms. New Posterpedic Mattresses and Lines! Holidays- night minimum. Taxes and one time cleaning fee not included in rates. No long term rentals, short term only. Other Fees: taxes and cleaning fee not included in rates.